Fences – A permit is required to construct a fence, although there is no permit fee. For more information, see Permits and Inspections or call the Westerville Zoning Division at 614-901-6662. Financial Data – City financial information is public record, and copies of audited Westerville financial reports are kept on file at the Westerville Public Library and with the Westerville Clerk of Council. For more information, call the Clerk of Council at 614-901-6410. Fire/Disaster Plans – The Westerville Fire Division assists local businesses in developing fire evacuation, tornado safety and other emergency plans. Call 614-901-6600. Fire Permits – See Permits & Inspections section, Burn Permits. 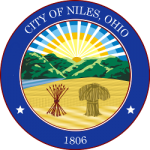 Fire & EMS Reports – For copies of these reports, call 614-901-6600. Fire Hydrants – Contact the Westerville Public Service Department at 614-901-6740. Fire Safety Education – The Westerville Fire Division provides safety programs upon request to neighborhood groups, senior citizens and businesses. For more information, call 614-901-6600. Fire Station Locations – 400 W. Main Street (Station 111), 727 E. Schrock Road (Station 112) and 355 N. Spring Road (Station 113). For more information, call the Westerville Fire Division at 614-901-6600. Food Safety/Inspections – Franklin County Public Health is responsible for inspections of food service operations, food vending machines, mobile food operations and food establishments in the City of Westerville. Inspection reports are available online here. Garage Sales – No permit is required. Garage sales are limited to one occasion every six months and can last no longer than three consecutive days. Signs may not be placed in the right-of-way or on poles. For more information, call the Westerville Code Enforcement Division 614-901-6664. Gas Service – See Natural Gas Service. Health – Contact Franklin County Public Health at 614-525-3160 or the Delaware General Health District at 740-368-1700,depending on the county with jurisdiction. Holidays – City offices are closed in observance of the following holidays: New Year’s Day, Memorial Day, Independence Day, Labor Day, Thanksgiving Day (and the following Friday) and Christmas Day. If a major holiday occurs on a Saturday, the holiday will be observed on Friday. If the holiday occurs on a Sunday, the holiday will be observed on Monday. Home Fire Inspections – Residential fire inspections are provided free of charge by calling 614-901-6600. Home Improvements – Projects involving construction, additions, alterations, relocation or demolition are regulated by building code. See Permits and Inspections or call 614-901-6650. Hospitals – Mount Carmel St. Ann’s Hospital (614-898-4000); OhioHealth Westerville Medical Campus (614-533-3000); Nationwide Westerville Close to Home Center (614-355-8300). Household Chemicals – The City of Westerville and the Solid Waste Authority of Central Ohio (SWACO) hold events for the safe disposal of hazardous household chemicals, paints and materials. For more information, call the Westerville Public Service Department at 614-901-6740. Income Taxes – See Taxes (Income). Jobs – Click here for employment opportunities with the City of Westerville.